We provide our locksmithing service for all the SAAB’s on the road today, we cover the SAAB 93, 9-3 and 95 models. We cover the whole of London and Surrey and parts of Essex and Kent. All o ur locksmiths are trained and qualified to deal with all types of vehicles we deal in lost keys, replacement car keys and spare keys. As some of you may be aware if you have a current key for your SAAB then we will be able to program a key via the diagnostics port of the vehicle without too much hassle. If you’ve lost the key to the vehicle then we will have to go directly into the CIM or TWICE unit and program the key direct. For the SAAB 93 vehicle from 2002 upwards we have to remove the airbag to get to the CIM unit we have all the tools and experience to carry out the work it all gets done in under 2 hours, call us for a quote. 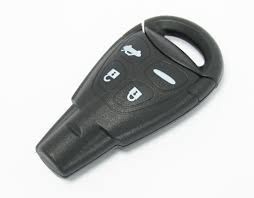 For the 9-3 we always have remote keys in stock so normally we can carry out the work on the same day or on the next day if we have to order codes for the vehicle from the dealers. If you happen to have locked your keys inside the car or the boot we will also be able to help, we will gain entry to the vehicle without causing any damage to the vehicle or its locks. After calling quite a few locksmiths managed to find Abacuskeys, was amazed these guys come out on the same day an made a replacement key for my 93. They come removed my air bags and got the job done on site. I will make sure I don’t lose my keys again but if I do I will surely be calling these guys again 5 star!